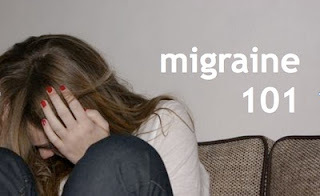 Migraine patients often use medications in the triptan category, such as Imitrex, Zomig, Maxalt, etc. to abort their migraine attacks. They also often take anti-depressants for either treatment of co-morbid depression or prevention of migraines. Both of these types of medication affect serotonin levels and can lead to the development of a condition called serotonin syndrome. Serotonin syndrome can occur when the body is exposed to medications that cause it to produce too much serotonin, a substance produced by nerve cells. It most often occurs when someone takes more than one medication that increases serotonin levels at the same time. The FDA requires drug manufacturers to include warnings about serotonin syndrome on all medications that increase serotonin levels, including triptans and antidepressants. This condition is extremely rare but serious for patients affected by it and potentially fatal. You should familiarize yourself with the symptoms of serotonin syndrome if you ever take both of these kinds of medications and immediately notify your doctor if you suspect you have developed it. You should consider suspicion of serotonin syndrome an emergency.